I realize the irony in me calling my cleaning tool a little mouse. Its also known as the HomeRight Steam Machine. Doesn’t it slightly resemble a mouse? Ok, its just me and my weird imagination. Anyway, I use this bad boy to clean my entire kitchen. I just attach the nylon brush to the steam gun and fire away while scrubbing. I shot it with the steam and then used a scraper to peel it right off. I steam cleaned my sink as well. With the sink, as I steam, I come behind with a sponge, wiping away the dirt and grime. It comes off like buttah’. Give the appliance a shot of steam, quickly followed by a wipe down with a towel. I do the same thing on my kitchen faucet. And shockingly – the steam machine can also tackle my stove…which is a whole other ballgame. 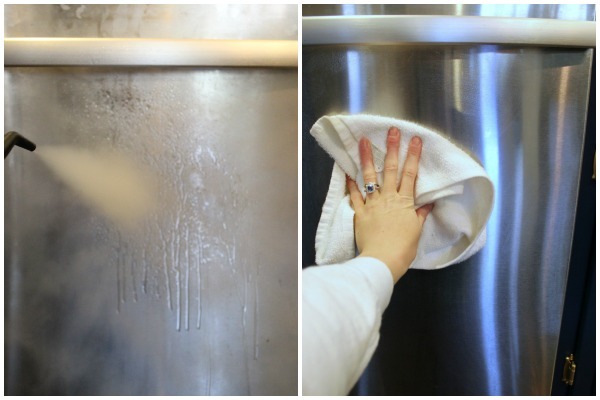 I clean it the same as the stainless steel on the other appliances – steam, wipe, repeat as needed. If needed, I use a scraper to remove stuck on stuff. 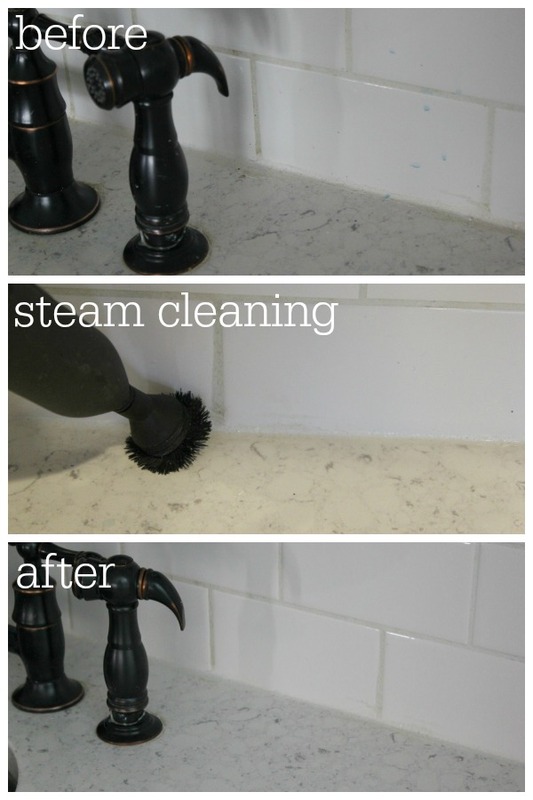 Do you use a steam machine for cleaning? Disclosure: This post was a collaboration with HomeRight. All opinions and comparisons of mice and steam machines are 100% mine. This would be helpful in so very many ways. Am in the process of renovating two houses and know I would find lots of uses. oh my goodness! This would be fabulous for detailing a car, cleaning a bathroom, etc. If this could make the baked on grease on my range top go away I’d be a happy girl! I would love to have one to try out on my shower! First on the list would be my kitchen, bathrooms and then my car! The dirtiest place in my house is my fourteen year old son’s room. Sometimes I open his door and just close it right back. I would say detailing the car or the bathroom would be the dirtiest places I would need to use it. What a great giveaway!! Thanks so much. I think the dirtiest place to use th Steam Machine would be my entry way. Thank you! I need it on my kitchen as well! our master bathroom! I don’t know HOW stuff gets in the cracks of EVERYTHING like it does in that room….baffles me to my very core. If this will clean my grout in my kitchen tile … I want this “little mouse” in the worse way. My kitchen could definitely use a good steam cleaning. I’m sad to say it’s my kitchen, but that’s because I put it to good use! oooooh…nice. Yes, it does look like a little mouse:) 4 kids, 2 dogs, 2 cats…..yes…I could really use this! I would use this baby in the kitchen and bathrooms!! I would clean the grates on my gas stove. Nothing has ever worked to get them as shiny black as they were when new. I have an idea that this steam cleaner would do the trick! Ahhh I so need one of these babies !! I would use this in my bathroom. Our bathroom is the worst place that really needs a good cleaning with this awesome steam machine! I can see it works wonders at your lovely home! I would use this little power house everywhere! Starting with the bathrooms and then the kitchen. And the corners of the floor underneath the cabinet over hang. Thanks for the chance to win. I could really use this “little mouse”. 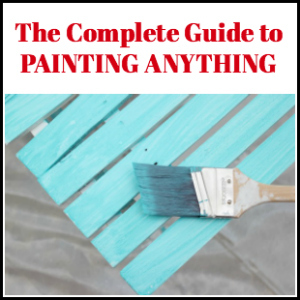 I am always on the go so if this could help me clean more quickly then count me in. I would love to use this in my filthy bathroom!! We bought an old house, with old issues…help!! I would use it in my kitchen. Especially on my stove top. I could totally use that on all of my tile! this would absolutely make things a lot easier at home!! It’s hard to decide on just one room, but I will choose the bathroom…especially the shower basin and tile. It’s nasty, no matter what I do to get it clean. I would love one! I was actually told by a cardiac doc NOT to clean house, because of my heart. My husband is sick with a lung problem, and a clean house would be better for him so I try, but I am a lousy house keeper. My Mother-in-law always comments on how messy the house is which makes me want to clean even less not more, if you know what I mean. I would definitely tackle my master half bath. I don’t even like to use it and therefore it’s up to my husband who does use it to clean it. Maybe if I gave it a good cleaning I would use it. Thanks for the awesome giveaway. Would love to try one I hate to mop floors and I think this would be a great way to clean floors!!! Thanks so very much for the awesome giveaway! Steam Cleaner? Oh, my yes…I need one asap….LOL..yes, lots of cleaning needs to be done around here…thanks again! This looks awesome, I would love to have one! I would definitely use it to clean my bathroom. Then turn around and use it in the kitchen. And I think it looks like a mouse too. Actually a better mouse than the other kind. LOL. The ‘mouse’ would be awesome. My kitchen could use some steam cleaning! I’ll admit I’m not a great house cleaner either! 😉 but this is awesome! I wouldn’t mind cleaning the tile in our showers and kitchen with this!! And our yucky stove top could use a good steam cleaning! I love your blog! I’m always happy to see a new post in my inbox. You remind me so much of my sister! Thanks for the laughs!! I definitely would use one in my kitchen. I would love this for bathrooms! I would clean everything in my house if I had one of these handy dandy machines! Thanks for the chance! I’ve never seen this b4 n now this is the 2nd one I’ve seen in the past 24hrs….I’m getting the hint! Around the base of my toilet. Living with more males the females in the house can get a little out there. This list is endless! Basement bathroom, upstairs bathroom, kitchen, windows. Everywhere. I would love one of these to use in my kitchen. It may look like a mouse, but the whole article was rather deceptive. This is just an ad, pure and simple. I am highly doubtful that a steamer alone can effectively clean any room. In any case, I’d rather see a full on ad than a sneaky ad disguised as a blog. Hi Sara. I disclosed that this post was sponsored, however I don’t feel it is an “ad.” This entire post was written by myself and included my own opinions – no one told me what to say. Furthermore, I would NEVER give a good review of a product I didn’t believe in. I would use it to clean our shower. Also to clean the floor under the cabinets where strange things gather. My four small grandchildren often stay all weekend,so this magical cleaning machine would be another wonderful blessing! Would love to have my own little “mouse”!!! What a testimonial! Who wouldn’t want a HomeRight Steam Machine after reading your blog post? The dog room needs it the most. Bathroom and Kitchen would both be places I would use it! This would be wonderful to have! 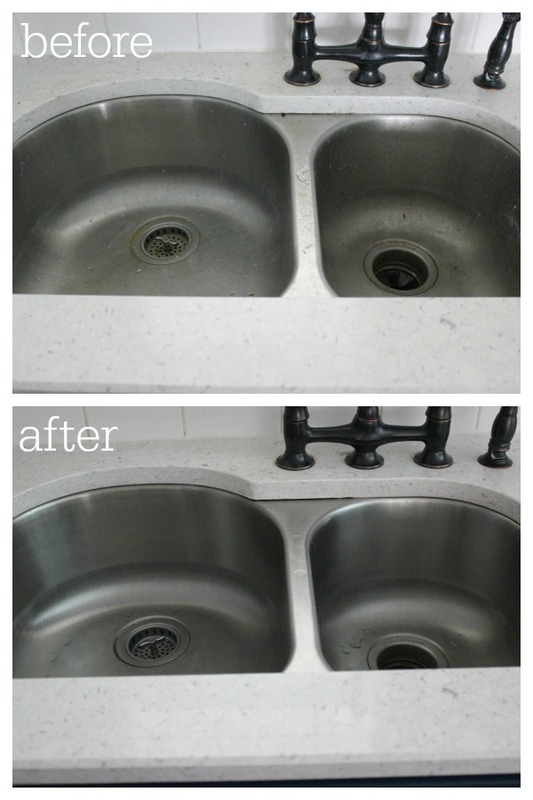 I like the look of cleaning stainless steel appliances – not the dirtiest place, but where I’d go first. 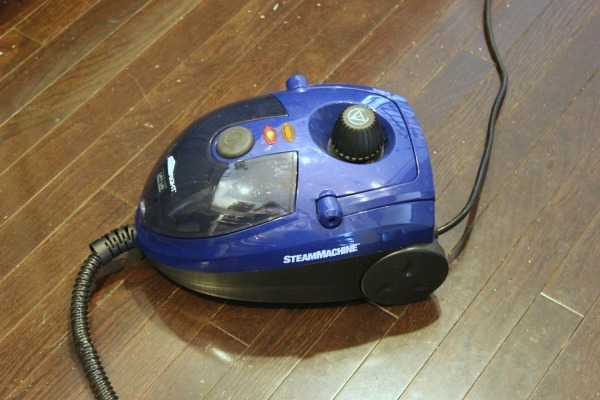 I could use this steam machine all around my house, but I would use it to clean my bathroom first. And it does resemble a mouse, lol. Thanks for the giveaway! I could definitely use this in the bathrooms. MY HUSBANDS SHOWER! Not that my husband is extra dirty, I just hate cleaning the fiberglass. I would love to use this and would have fun doing so! I would love to try it on all sorts of things! I would love to use this in the bathrooms. Kitchen hands down-I fry a lot of food and grease goes everywhere!! I feel like I can NEVER get my kitchen as clean as I would like it. Seeing how this thing tackled your kitchen gets me crazy excited!!! I would totally attack my kitchen! I like mice. =D I just heard of this product recently. 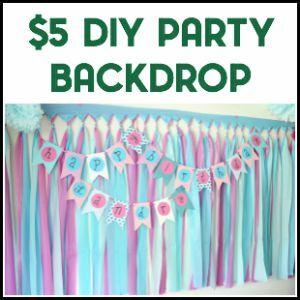 It was used to get wrinkles out of new drapes, I’ve wanted one ever since. I hated ironing drapes or curtains so mine never look as nice as I would like. Then there’s housecleaning …. fingers crossed! Boy, I would love to use the HomeRight Steam Machine in my kitchen, bathroom and especially on my brick floor! Bathroom, kitchen, and the furniture! Definitely my stove. It’s scary in there. I definitely need this product. oh wow, my kitchen needs this baaaaaaaaaaad! Thanks for the opportunity. I would tackle the bathrooms! Mainly the shower and tile surround. Let’s do it! My oven is an older model and not self-cleaning… it gets pretty gunky. This steam cleaner would be a big help! Oh in my bathroom! I can’t keep the mold growth down! No matter what the cleaner I use. I think steam would eat this! Well, with remodeling our home at the moment I could use that handy dandy Steam Machine…ummm…everywhere!!! Oh my! 😉 Thanks so much!!! The dirtiest place in my house that I would use the Steam Machine is the bathroom! I would be able to finally tacker the 4 season porch that has been closed off all winter! Looks like a great way to clean our kitchen. We have a gas range & the top of that thing gets completely greasy & disgusting. Hubby likes to cook & he’s not very good about keeping things IN the pot…the drippings always end up in the top of the range. And steam cleaning something is much better than using anything CHEMICAL-ish (is that even a word?!?). Would love to win! Thanks for the awesome chance. oh, i’d love to have this for my kitchen for starters – human traffic from the garage, human traffic from the back door and traffic from my tiny livestock – five kitties. and now all the snow has finally melted, so if it walks, it tracks in mud. thank you – fun to read the other comments. This looks amazing and I would love one! The dirtiest place in my house where I would use the Steam Machine would have to be my stove. The dirtiest place in my house is definitely the kitchen. The steam machine would be perfect getting it cleaned up. My bathroom is the messiest room, due to my boys! I so need this for my kitchen and bathroom!! I would love to try one of these on all my wooden floors. I’ve been wanting to get my hands on one of these to clean our bathrooms. Dirtiest place in the home but only cause it’s used daily and multiple times at that is our KITCHEN! I’d first use it in there. The bathrooms could use a steamer for sure. Teenage boys aren’t always as clean and neat as they should be. My bathroom would certainly be the first place to use this. 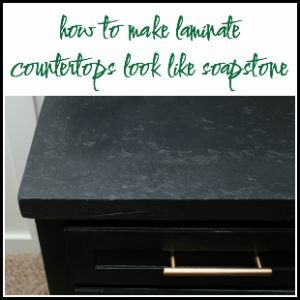 I would use this on the grout in my mudroom as well as the stainless steel in my kitchen! She has an electric stove like me which I absolutely HATE because it always looks dirty. I would be super tempted to try it on that too! I need this for my whole house….. everywhere I look I could actually use it! Thank you for the great idea!! I would love to go at my bathrooms with that bad boy! Would love to use this in kitchen, bathroom and outdoor living space! I would use this in my kitchen too! I think the dirtiest place to use the Steam Machine would be my bathroom. Either the shower or the kitchen! I would love to use this in my kitchen! I cook everything from scratch daily, so the kitchen is probably the most used place in my home. I will use this in my husband’s bathroom. Oooooo I want one of these! I bet it would make the glass on the microwave just sparkle … and with lots less elbow grease!!! I would love to try it on my shower. It needs a good cleaning. I would love to use it on my husband’s shower. The kitchen floor would be the dirtiest because I’m always cooking! I would love to have this for my bathroom and laundry. My kitchen is where I would use it first! I would use this stream cleaner on my teenagers shower. could it finally be the answer to my tile counter top problem! 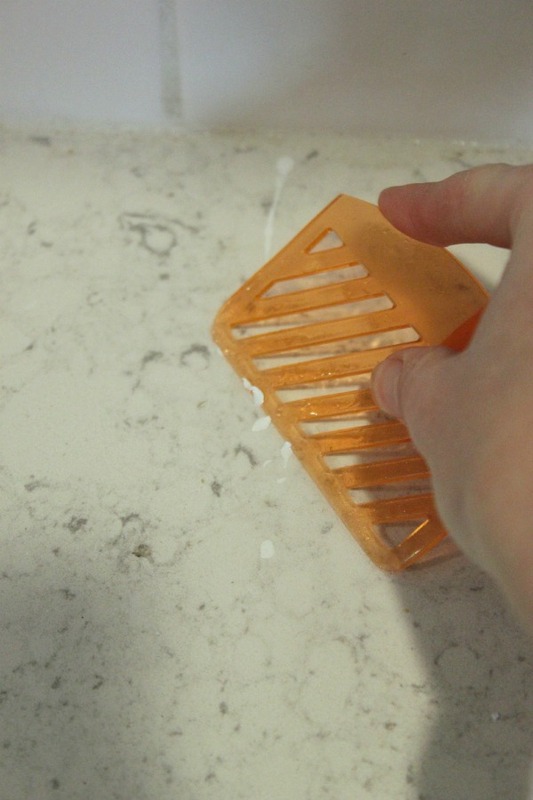 Nothing seems to get the grout clean!! My kitchen floor would be the dirtiest because the tiles have tiny grooves which are hard to get clean. I don’t know about the dirtiest but we would definitely use it on our oven first. My kitchen counter is made out of tiny tiles with grout EVERYWHERE uhg drives me insane! I would like to try this on my bathroom floor first. What isn’t. I’m like you, my house isn’t filthy with food and stuff like that. I don’t clean often enough. I started spring cleaning yesterday. Today I’m so sore I need a break. When I clean the kitchen, the kids complain that it smells like “cleaner” instead of smelling clean. I love that this steam cleaner cleans everything with no “cleaners”. What a nifty tool. I’ll take one!! The dirtiest place is my office. It is where my cats like to sleep. I am continuously cleaning up fur and bits of litter. It is a toss up between the stove and the bathtub. Those glass top stoves are a pain to clean. But my tub gets pretty grungy too. I would love to try steam cleaning. I would use it in my bathroom . My kitchen could really use this! 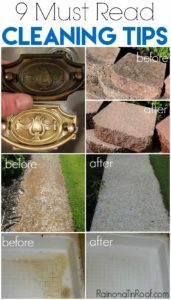 Steam cleaning rocks. Would love to win. My kitchen and bathrooms would love me. I would love to have this to clean the bathrooms. I don’t know how my children can get a bathroom that dirty. I’d love to give this a whirl…. I would love a new steam cleaning machine. I had one, but finally wore it out. They are an invaluable tool for the homemaker. I have been wanting one of these! And it does look a little like a mouse! I would love this for my bathrooms and my car! I would love to use it in my laundry room. My kitchen cabinets is where i would use the cleaner first. Right now my bathrooms and kitchen are fighting for the nastiest spots in my house, but I’d have to go with my husband’s bathroom. I won’t even go in there anymore!!! 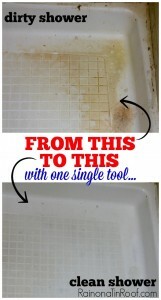 I would love to try a steam cleaner in the bathroom!! Looks amazing!! I’d love to have one! I need me one of those. I’ve been looking for a steamer for a while. I just needed a decent review to steer me right. Thanks! My laundry room is the dirtiest place in my house because the cat litter box is in there! I would definitely use this in my kitchen first!! Would LOVE one of these! I believe steam cleans better than anything else!!! I have wanted this steam cleaner for a while now. I would love to use it to clean my bathrooms. I would use it to steam my bathroom and I would love to try it in my kitchen also.. I have never thought of using a steamer for EVERYTHING! It sure looks like it worked well. I would LOVE this for my kitchen & maybe the bathroom too! The dirtiest place in my house is our second “guest” room. The last tenants tore out the carpet (they were growing marijuana in that room, also did some major electrical damage) and then in December we had some flooding in there during a big rainstorm. I would love to try it out on my shower! I’ve used a steam cleaning machine before and I absolutely loved it. 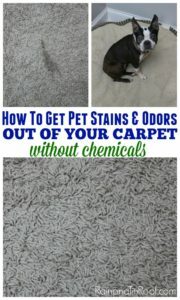 I think it’s one of the best ways to deep clean without chemicals. I would use it in my bathroom, my kitchen, my living room and everywhere else! My daughters room would need to be cleaned. That was my first thought too. Ha ha. The kitchen and bathrooms need a deep spring cleaning. I’m sure this could get the job done! I would be all over my kitchen if I won this awesome giveaway! I have to have one of those. What a life saver! It would for sure be the kids/guest bathroom. I’m raising two of my grandchildren, ages 12 & 14, and for the life of me I can’t figure out how two small beings can dirty up a bathroom so bad. It looks like a tornado, a hurricane, an earthquake, & a flood went through it. I really need this machine for sure. Thank you so much for the opportunity to enter the giveaway for a chance to win this wonderful machine. God bless & have a wonderful week. Good luck everyone! I would use it on tubs and showers and the areas around faucets. All seem to collect residue that is not easily cleaned away. I need the help for the residue grease around the oven and the grout. Just scrubbing is not gettying er’ done. OH I would love to use this in our basement bathroom for the shower and floor tiles! Both really would benefit from that! Looks so easy to use too! Having three dogs,we have all bare floors,so all the floors would benefit.thanks so much for sharing. I can’t even imagine how beautiful my stove would look after using this! I would use this on my laundry room floor! The dirtiest place in my house is the bathroom!! I would love to have this for that!! Right around the dishwasher is the dirtiest place in my kitchen. I am firm believer in the power of steam for cleaning, for sure! I want a whole house steamer SO bad… I have a little inexpensive steam mop and steam is amazing to clean with!!! I would steam everything in sight too, if I had a mouse! and I am also with you on the whole my house is not gross, but it could certainly be cleaned more often… but, ain’t nobody got time for all THAT! Mama’s got projects to do! My walk in shower really needs a good cleaning. I would use this in my bathrooms first. It would have to be the boys bathroom! My hubby’s bathroom! It needs serious help! I don’t know about my bath being the dirtiest but I know it sure would be nice to use this in the shower. I’d also like to give my stove a good cleaning with it. Thanks for letting me enter. I’m typing with fingers crossed. My mudroom, which is the entrance way, could use help. This unit would be wonderful for cleaning the bathroom. I would use it in the shower where I can’t reach and the guest tub, that thing is just scary. My kitchen. 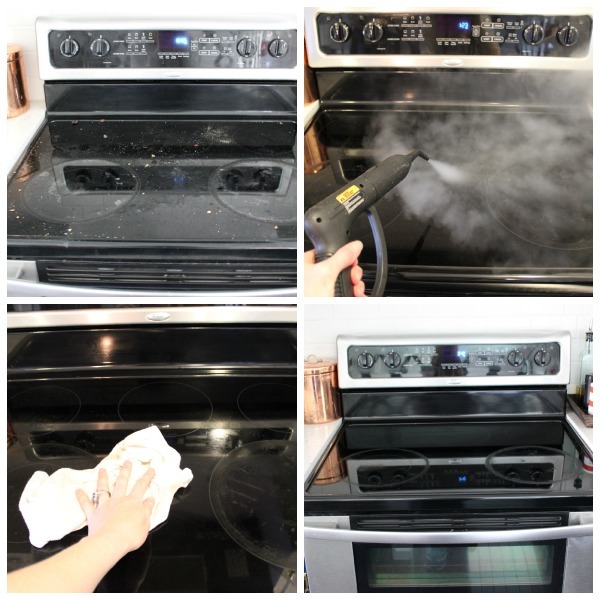 I’m impressed with the way you cleaned your stove. If I don’t win I may have this on my wish list. Thanks. I would love to attack my shower with this!! The walls are so hard to scrub clean. I would use it everywhere!! shower mostly but everywhere! I would love to use this in the bathroom and the kitchen. I hate cleaning the bathroom so would definitely love to try this out in mine! My kitchen floor is the dirtiest place in my house and where I’d use it most. My cats eat in the kitchen are make such a mess. The bathroom seems to be the dirtiest place in the house where I would certainly use the steam machine. Kitchen and bathtub is the dirties! I would use it in my stove . Its so hard to clean it by my self this would help me out a lot thanks . Hope to with it. My bathroom!!!!!! It needs this! I would use in the bathroom first! I would use this to clean my oven!! Oh how I could use this for my kitchen appliances and the master bath tub/shower! I would have to say the basement and I would like to use it there. The bathroom because that is where the litter box is. My bathroom is the worst and I would use the Steam Machine to clean it. I would use it on my bathroom grout. The Kitchen is where I need it the most. 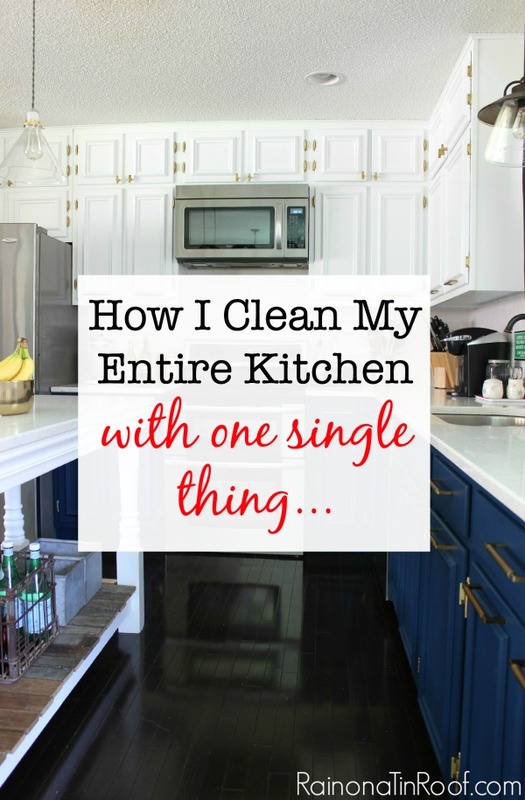 The dirtiest place in my home would be the kitchen and that is where I would use it. To get all the grease, grime, stuck on food….etc. My bathroom and my kitchen could particularly use this. Hands down ~ The Kitchen. It’s a long, weird, sad story ~ but when we came home from to trip to visit my (93 year old Mom!) we found that the city was working on a water main which had caused the kitchen sink faucet to literally BURST and the kitchen was flooded with SEWER WATER. YIKES! We’re still working to restore it… It’s a nightmare! I think the laundry room floor would be the dirtiest in our house. Everyone is walking in and out with snowy muddy shoes. Gotta be in the bathrooms! As a professional I recommend steam cleaning 100%! I love the steam cleaner because it is easy to work with, really effective and most of all you don’t need to use any chemicals! Very good post! Thumbs up! Greetings, Flat Cleaning London Ltd.
OMG. I need one. I HATE cleaning!! Steam machine is my best friend. I have 3 kids and it is always a mess at home. There are a lot of stains everywhere. Yesterday my 5 years daughter spilled a tomato sauce on the carpet. My steam machine and vinegar saved the day. Thank you for sharing your article. Greets! 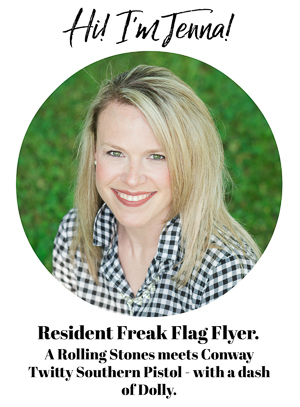 Girl, ya gotta find a way to laugh when it comes to housework! haha! I would give your handheld a try in the bathroom – what could it hurt!? Looks like you have two of these steamers? The Homeright Plus and the Homeright Steamer? Could just ONE machine do all these jobs instead of buying both??? Have looked into getting one of these, but can’t afford to buy both of them – please comment.